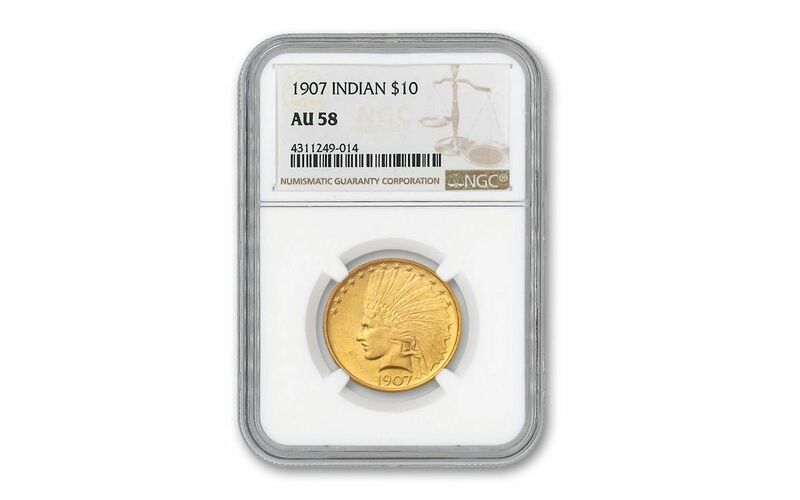 This 1907 $10 Gold Indian grades About Uncirculated-58 (AU58) by Numismatic Guaranty Corporation (NGC). 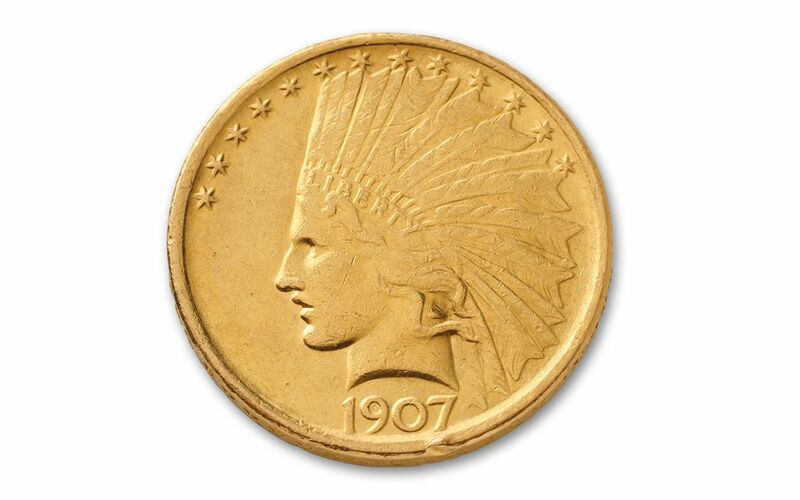 As it is nearly indistinguishable from an uncirculated coin, it can make a great addition to an AU 12-coin U.S. Gold coin set which is an example of one of every type of gold coin struck between 1838 and 1933. Since several of the early coins are more reasonably price in AU58, this 1907 $10 Indian is a good choice for a type set. The coin features a bold Indian in a spectacular headdress and a defiant Eagle ready to fight. 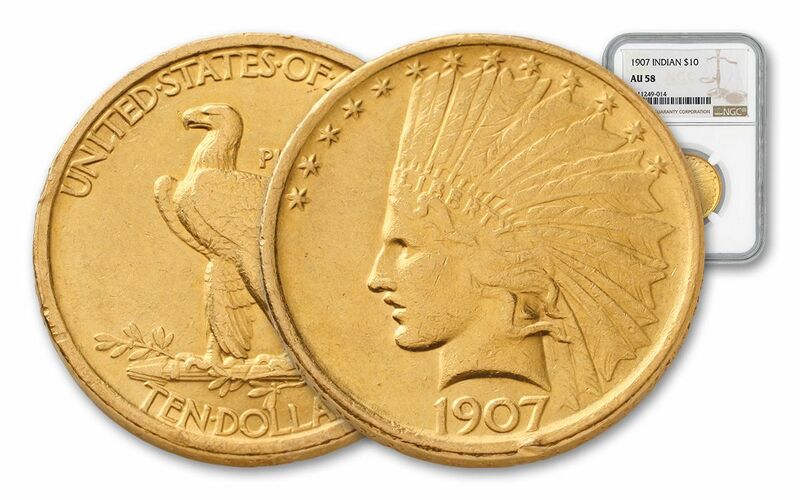 This first-year-of-issue $10 Gold Indian was struck at the Philadelphia Mint. It is the first issue without the motto "In God We Trust," which was later added. 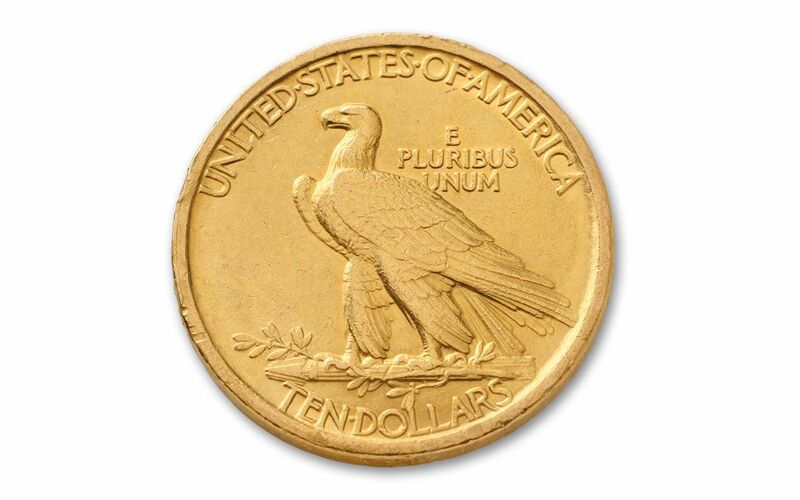 Very few of the original mintage 1907 Saint-Gaudens $10 Indians have survived - they were ruthlessly melted in the 1930s - and only a tiny percentage have achieved this exalted status. Seize this opportunity to add this fabulous golden tour de force to your family's personal history. Future generations will thank you for it.